In my last blog entry I discussed a recent visit to Birmingham Museum & Art Gallery and some of my favourite portraits in their fine art collection. Following on from that update I wanted to explore the paintings of three artists in a little more detail. 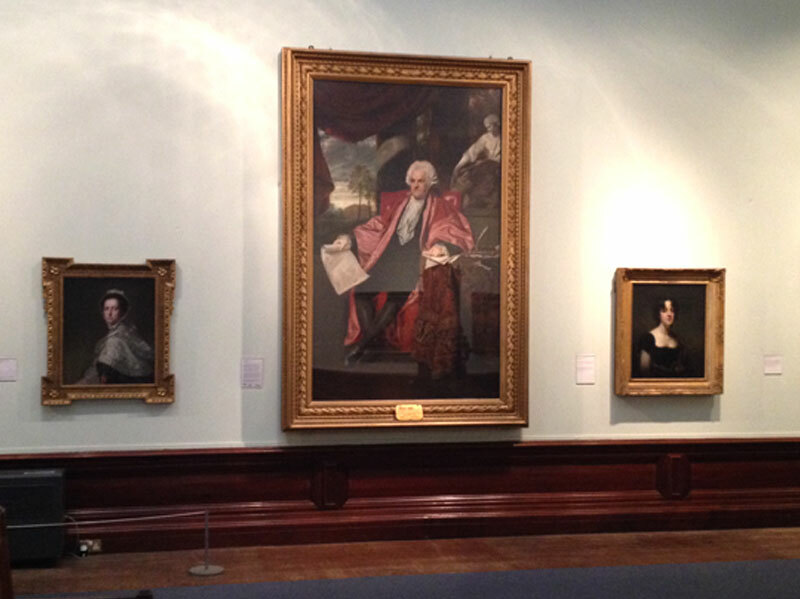 Hung alongside one another in the gallery are examples of work by the three ‘R’s’ – Romney, Reynolds and Raeburn. 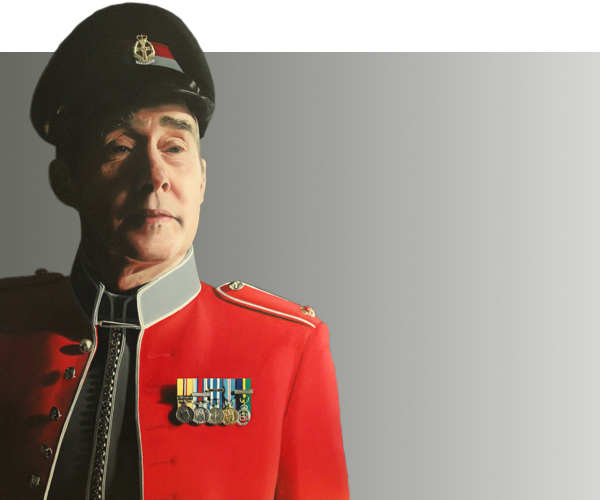 The first of the three portraits is attributed to the great Cumbrian artist George Romney. Widely recognised as one of the leading portrait artists in 18th Century Britain, Romney was prolific, painting approximately 2,000 paintings during his successful career. Painted around 1765, there seems to be very little known about the Lady featured in the portrait and some have questioned the provenance of the painting in the past. However, what caught my eye with this piece was the beautiful texture achieved in the painting of the face. Romney has managed to balance the warmth of the sitter’s cheeks with the cooler green areas of half tone on the chin and temple. I also believe that the very subtle details of the brow, “smile lines” and eyelids help suggest the sitter is of a certain age. The white shawl that drapes across the subject’s shoulders is painted in a particularly loose manner and almost has a ‘messy’ feel to it. 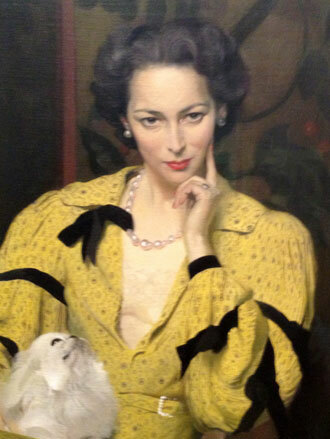 However, Romney has carefully applied the tonal values to this area of the painting so that it doesn’t detract from the beautifully lit face of the Lady. You can read more about Romney in my blog about his paintings at Abbott Hall Art Gallery which discusses his masterpiece The Gower Children. 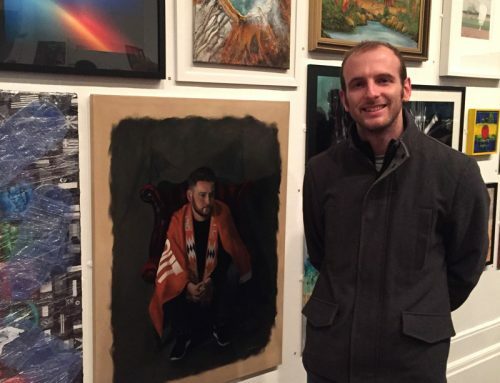 Apologies for the poor quality of this picture – as the painting was framed behind glass it was difficult to photograph. 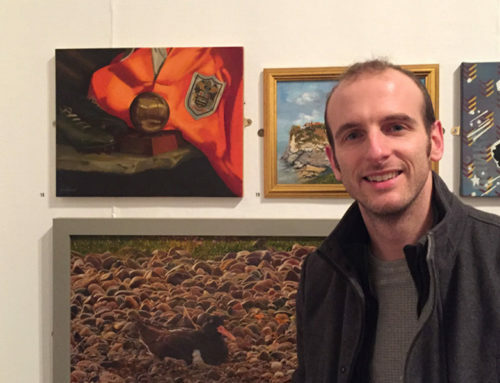 You can view the painting more clearly on the Art UK website. 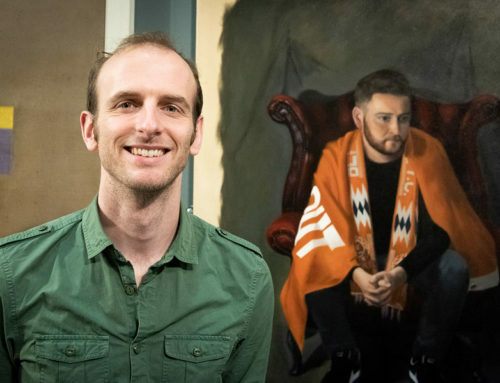 As you can see in the image above at the start of this blog, one of the first things that strikes you about the portrait is the sheer scale! The painting is huge, measuring 241 x 147 cm. 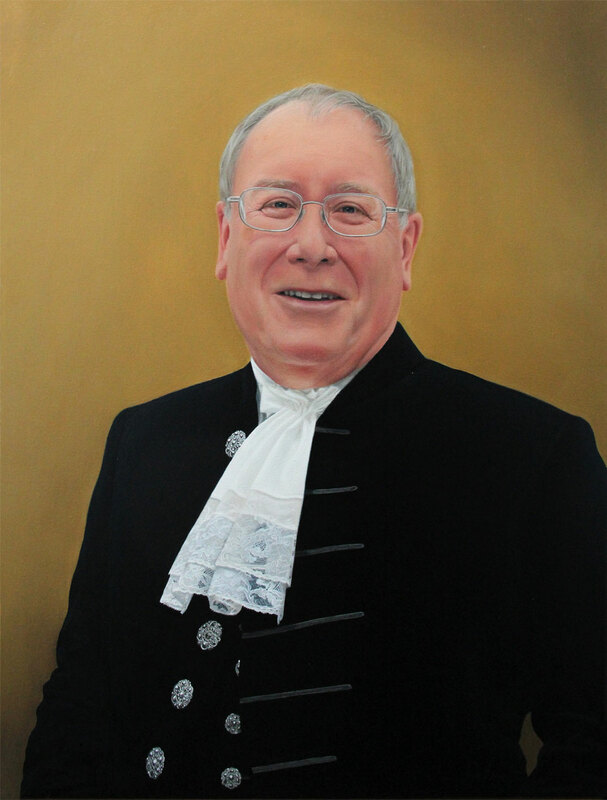 This full-length institutional portrait has real historical importance for the city of Birmingham and Reynolds has helped tell a story through the piece. 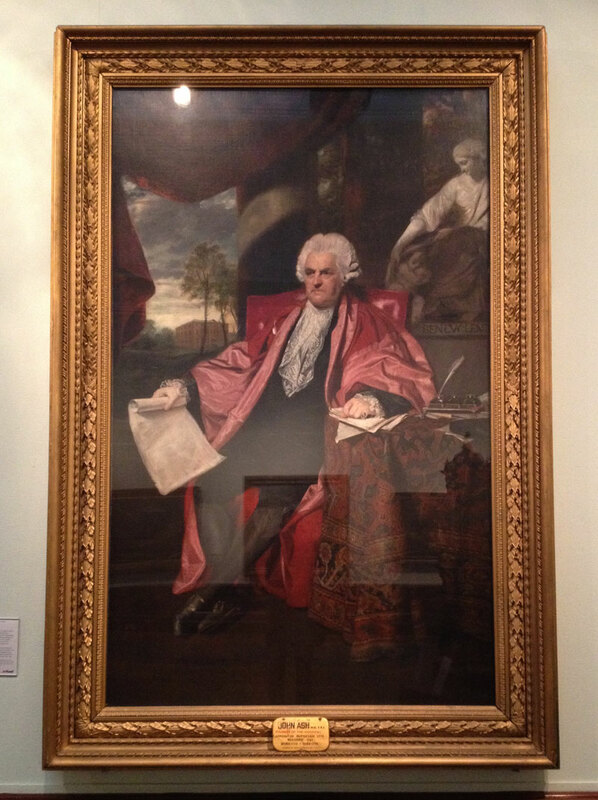 Dr John Ash was an eminent physician and co-founder of the Birmingham General Hospital which opened in 1779. Originally commissioned to be hung in the boardroom of the hospital, the portrait features some lovely narrative elements within the composition. Dr John Ash helped design the hospital, highlighted by the scroll he holds open that portrays these designs, while the completed hospital can be seen in the background of the painting. I love the grandeur achieved in the painting through the inclusion of the draped fabric, detailed cloth and sculpture. The cloth that the sitter is leaning on emerges from the shadow in the bottom right of the painting creating a real sense of opulence. 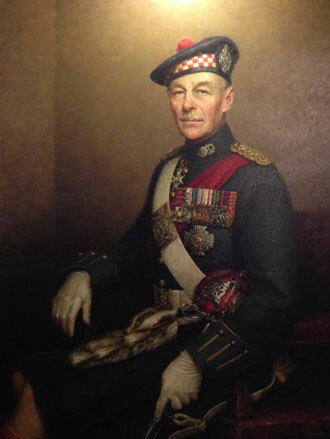 You can view a short BBC video clip about when the Museum & Gallery acquired the painting here, which features some great detail shots of the portrait. 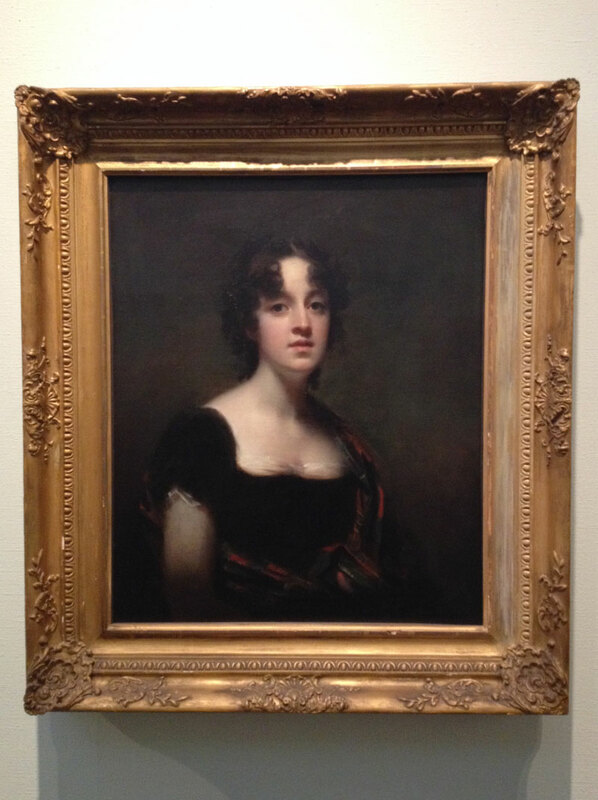 The third and final portrait that I wanted to mention was a piece by the legendary Scottish artist Sir Henry Raeburn. Recognised as a portraitist who employed the sight-size technique, Raeburn’s method of painting resulted in works that I think are full of energy. In this portrait of Mrs Farquharson, Raeburn captures the deep doe eyes of the sitter beautifully with the rest of the facial features painted to achieve a real soft impression. Details that help bring the piece to life include the subtle wisps of the subject’s curly hair and flashes of white on the fabric of the dress. 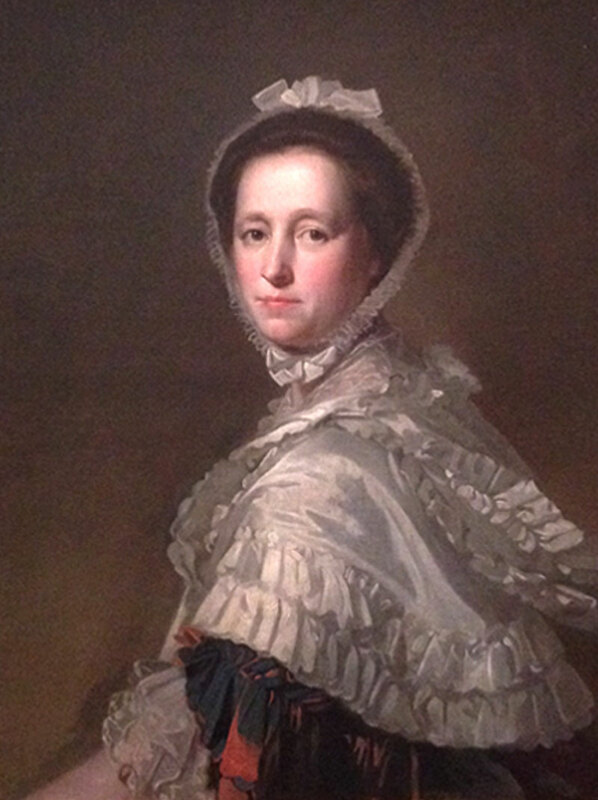 Raeburn uses chiaroscuro (strong contrast between light and dark) to bring an atmosphere to the painting and in a similar way to the aforementioned cloth in the Reynolds portrait, the tartan shawl in this piece is beautifully painted in the shadows. A bust-length portrait like this one would require four or five sittings, each of an hour and a half. Having chatted with his sitter to put them at their ease and posed them in a chair in his studio, Raeburn would paint directly on the canvas without any underdrawing or preliminary sketches. Inspired by the methods of artists such as Raeburn, I’ve recently been exploring alla prima (wet-on-wet) and sight-size portraiture techniques in my studio and I’ll be sharing the results here in my blog soon.